Here’s what the tablet leader’s portfolio looks like now. Apple had retired the Air branding a couple years ago, but is bringing back the moniker in an effort to better differentiate the iPad Pros. The company released bezel-less iPad Pros with Face ID last year, but still sold the older iPad Pro 10.5 with Touch ID for a few months. Note that Apple did not put a more-powerful A12X Bionic chip inside, which is reserved for the iPad Pros — another point of differentiation. The Air is also losing ProMotion, the higher refresh rate that debuted on the iPad Pro 10.5, potentially to reduce costs. Perhaps the most meaningful change is the price. The new iPad Air now starts at $500 for a Wi-Fi model (cellular models start at $630), down from the iPad Pro 10.5’s starting price of $650. Distancing the Air from the Pros in price helps with product segmentation. While there had been rumors that Apple would try to make the iPad Mini 5 cheaper, the company kept the tablet’s starting price at $400 while reducing the base storage to 64 GB. iPad revenue put up the strongest growth in six years last quarter , thanks mostly to pricing power. 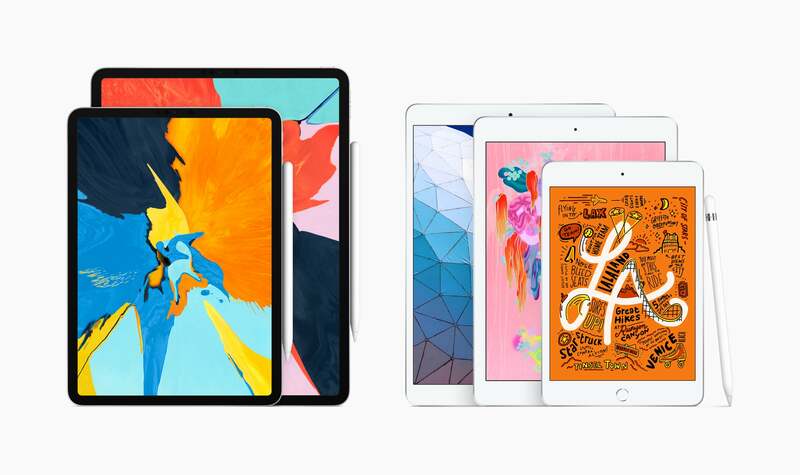 Apple utterly dominates the tablet market, and is making sure that it has offerings covering virtually every price point and use case — except for the extremely low end of the pricing spectrum, where it has no interest in competing.